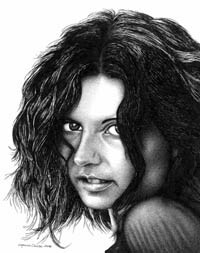 Post Lesson, graphite pencil drawing, won the "Creative Expression" award at the 2010 artSpacific Annual Juried Art Show. Firehall Centre for the Arts. Two of my works (one drawing, one painting) have been accepted into the Delta Arts Council's 2010 artSpacific show. Be sure to visit the exhibit if you're in the area. Firehall Centre for the Arts. Be sure and visit my blog to see my latest drawings and paintings, and current works in progress (WIP). artbywyanne.blogspot.com. 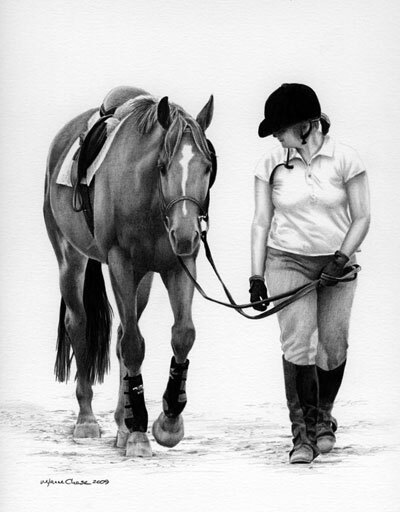 What could be a more unique, individual gift than a custom portrait of your most beloved people and pets? I am currently accepting commissions for custom portraits. For more info click here.